The Dalai Lama will visit Britain on the occasion of the Glastonbury Festival, where he was invited to deliver a speech. During his visit to Britain, he will also talk about Buddhism in London. Already in 2012, Britain and China had disputes as a consequence of a meeting between David Cameron and the Dalai Lama, as China considers him as a dangerous nationalist leader. Exiled Tibetan spiritual leader the Dalai Lama will visit Britain next week [week from 29 June to 5 July] and again in September but will not meet any officials, his office said on Thursday, just ahead of Chinese President Xi Jinping's trip to the country in October. The Dalai Lama will speak at the Glastonbury Festival - one of Europe's largest music festivals - during his June 27-30 trip, said Wangdue Tsering, London-based secretary of the Office of Tibet, one of Dalai Lama's representative offices in Europe. The Dalai Lama is also due to give a talk on Buddhism in Aldershot, a town to the southwest of London. Wangdue Tsering told Reuters that the Dalai Lama would not meet any officials during his trip and that his office did not request any meetings. His September trip will include a public talk, but no other details have been released yet. 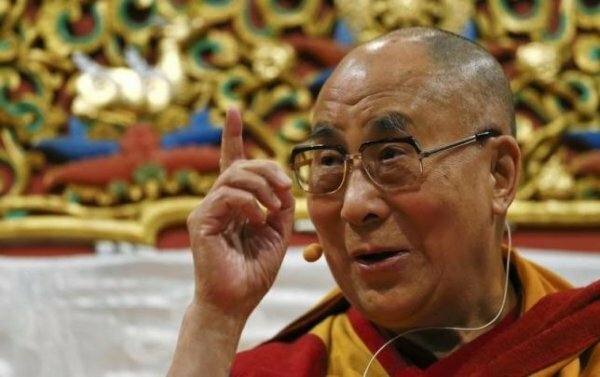 Beijing denounces the Dalai Lama as a dangerous separatist who wants an independent Tibet. He denies espousing violence and says he only wants genuine autonomy for his Himalayan homeland. In 2012, British Prime Minister David Cameron had to put his trip to China on hold after Beijing took offense at him holding a meeting with the Dalai Lama. President Xi's October state visit is the first to Britain in a decade by a Chinese head of state. China has ruled Tibet with an iron fist since troops "peacefully liberated" the region in 1950. The Dalai Lama fled into exile in India in 1959 after an abortive uprising against Chinese rule. Representatives of the Nobel Peace laureate held rounds of talks with China until 2010, but formal dialogue has stalled amid leadership changes in Beijing and a crackdown in Tibet.